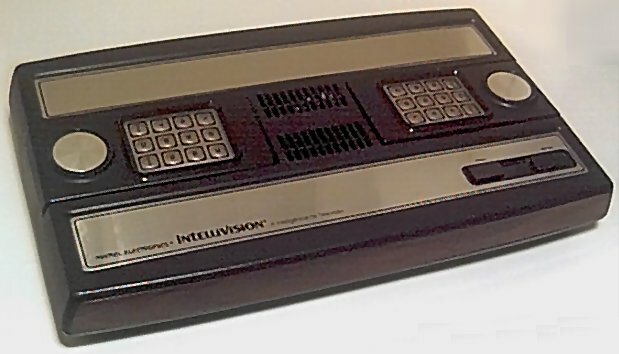 The Intellivision Master Component had at least a dozen or so variations, discounting things like the revisions stickers on the bottom of the unit for the phone number to call for repairs or other help. Although only three significant hardware variations exist, the packaging variations make things interesting. As more variations come to light, I'll try to post pictures or descriptions here. If you wish to share your knowledge, please send an e-mail. Mattel Master Component 2609 The original! Gold top and wood grain front and back panels. These all list 15W power requirements, AFAIK. Mattel Master Component 2609A What is the difference? I've seen some that use 1/4" hex head screws internally instead of Phillips head screws. Some of these are listed as consuming 15 Watts of power (older ones), some as 18 Watts. Mattel Master Component 2609B I think I saw this on eBay. Is it the 240V AC / PAL version? Mattel Intellivision II 5872 Has detachable controllers, non-tactile keypad controllers, EXEC ROM modified to do stricter copyright check, which broke certain Coleco games and Word Fun. Mattel Intellivision II 5872 Intellivision II with red stripe. Radio Shack Tandyvision One 58-1000 Really a 2609 with no gold trim - just wood grain panels and slight indentations around controller docking bays for the action buttons. 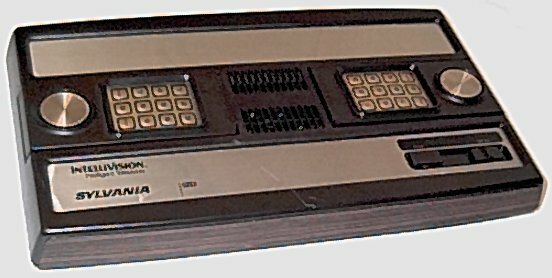 GTE Sylvania Intellivision MC100 Really a 2609A with GTE Sylvania logos. Also modified the labeling of the power and reset switches. Sears Super Video Arcade 497.75022 Funky white case, "disc" style power and reset switches, detachable controllers stored side-by-side, and "blocker" chip that suppressed the "Mattel Electronics presents" text. Some game title screens look funny because of that (e.g. AD&D). INTV Corp. INTV System III 3504 Rumored! 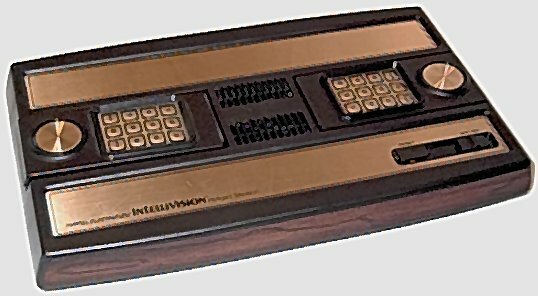 (That means I've seen one, but it might have been a Frankenstein system) Like the original 2609, but black and silver (no wood grain), INTV System III logo instead of Mattel Electronics Intellivision Intelligent Television logo. Controllers have gold keypads w/ black letters (original style, tactile), LED. INTV Corp. INTV System III 3504 Controllers have black keypads w/ silver letters, but "flat" keypads with ridges around the buttons (similar to Intellivision II), LED. INTV Corp. INTV System III 3504 Rumored! 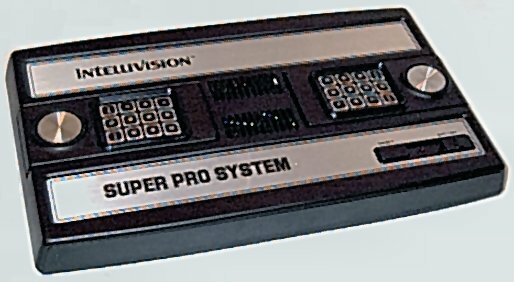 (I think I've seen one) INTV System III - in addition to INTV System III logo, large Intellivision logo as on Super Pro system; controller type? 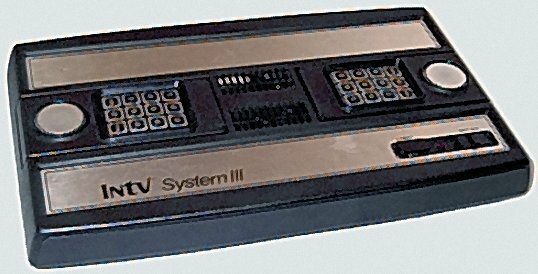 INTV Corp. Super Pro System 3504 Variation with "flat" keypads (similar to Intellivision II) - do both ridged and completely flat versions exit? World Book TutorVision ???? Collaborative effort with World Book Encyclopedia that collapsed. Only one known prototype unit exists. Find info here.